Kent Hipster Beard & Moustache Brush, originally created in the 1700's in England, the beard brush was an essential grooming tool of it's time. 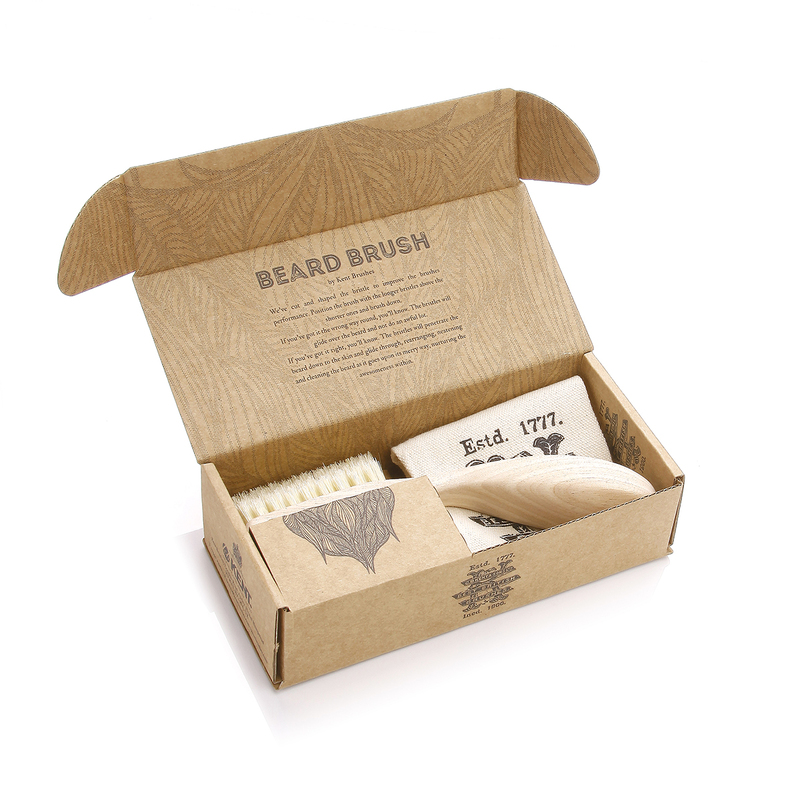 Made of beech wood and natural boar bristle, this Kent beard brush is 6 inches long and is packaged in a raw cardboard box with a cotton carrying case included. The unique ergonomic handle is constructed to achieve an effortless glide through any hipster or otherwise beard. A perfect gift for the beard aficionado!